Groundwork Richmond, established in 2010, is one of 20 Trusts of the Groundwork USA network. 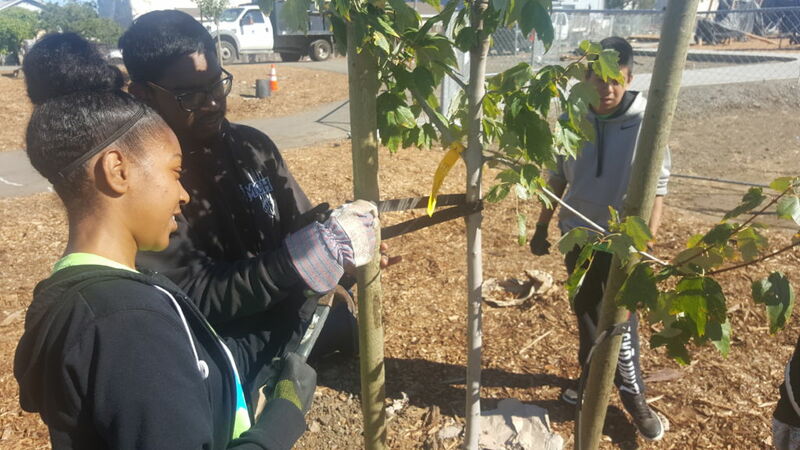 The organization has established programs that benefit both the environment and the community in Richmond California, forming strong partnerships with local organizations and agencies to provide meaningful job training and workforce development centered around enhancing urban forestry and building the Richmond Greenway. Groundwork Richmond is the Urban Forestry Administrator for the City of Richmond; in this role, they engage the community, plant trees, and track greenhouse gas sequestration. The Richmond Greenway is a hallmark initiative of Groundwork Richmond and brings together many local organizations to design and implement plans to create green spaces along the trail. For both initiatives, Groundwork Richmond’s Green Teams and Green Corps are active participants. Green Teams provide training for high school-aged youth, in which students gain work experience, recreational opportunities and networking, paid internships, and education enrichment. Green Corps offer employment opportunities for graduates of the Green Team and local residents, providing further job experience and helping young adults to build their resumes. Groundwork Richmond has also been a leader in creating an environmental justice literacy curriculum that is being tested and used across the country.